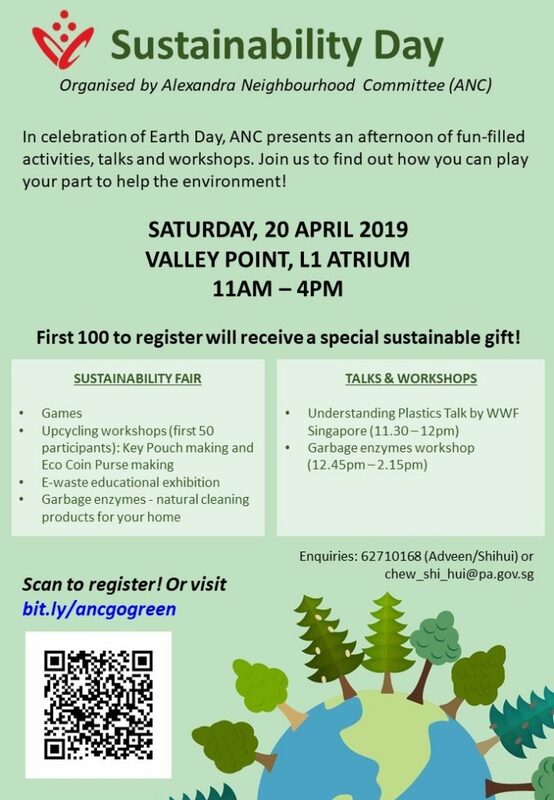 – Garbage enzymes workshop (12.45 to 2.15pm) – participants will have to bring along their own reusable container with leftover fruit scraps/peels (we will inform them of the details by email nearer to date once they have registered). First 100 to register will be entitled to a surprise sustainability gift (limited to one per attendee on the day). They can register via bit.ly/ancgogreen.